There’s something sophisticated about oxford shoes, even more so when women wear it. These may be considered formal wear for men but give it a little twist and you will see oxfords in a totally different light. 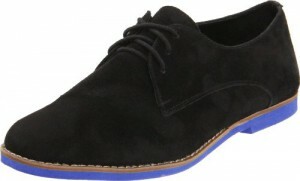 Steve Madden comes up with oxfords with colors that gives a casual and quirky aura to it. It still looks sophisticated but it gives a different light to women’s casual wear. Most people would pair it up with capri pants or high-waisted, ankle-crop pants and a simple tee. You can also wear it with twill pants or even skirts. In my honest opinion, oxfords are not for everyone. Unlike stilettos where you only have to learn how to walk in heels, Steve Madden’s Jazie oxfords have a different attitude of its own so you need to have the right amount of attitude and confidence to exude that sophistication. Steve Madden’s Jazie Oxfords comes in black nubuck, cognac nubuck taupe nubuck and cognac leather. I prefer the lighter shades because although the black nubuck has a purple sole, it still looks so bland and boring (but that’s just me). The lighter shades like taupe and cognac looks like it can lift my mood. Also, the colorful soles are a breath of fresh air from the usual casual flats. 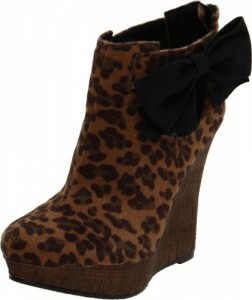 Buy this Steve Madden shoe here! Here’s another one fresh from the Spring 2012 collection and this time it’s from Calvin Klein. 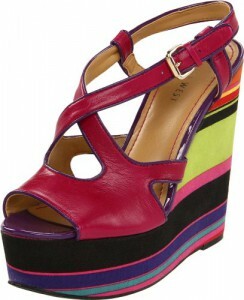 The Hallen open-toe wedge espadrille has colors loud enough but not too flashy. I love wedges and I love espadrilles and these two rolled into one just makes me giddy. 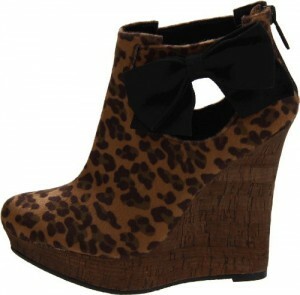 These would be nice with skinny jeans or even short skirts or … well … shorts. The upper is made of leather while the inner sole is lined with fabric. It comes in two colors, Vanchetta which is an apple green shade and a turquoise stripe on the heel and Magenta which has a red-orange stripe on the heel. 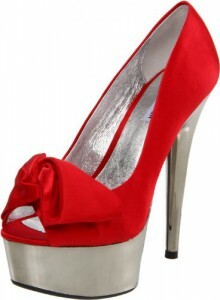 The heel, which by the way is covered in just measures approximately 5 inches with a 1.25 inch platform. Buy this Calvin Klein shoe here! Talk about elegant. Giuseppe Zanotti went all the way with this crystal embellished T-strap sandal! It’s perfect for any formal occasions whether it be weddings or cocktail parties. I love the barely there look but at the same time love the head turning sparkly blings all over it. It’s very sophisticated and although some may want to pair it up with skinny pants, I’d much rather use in more dressier events. I’d pair it up with pencil cut dresses that falls just below the knee. Of course I’d want the whole world (or the whole room) too see me wearing these! The upper and straps are covered in silk while the sole is made of leather. It only comes in one color (Salmone) which is kinda pinkish bronze. The heel measures approximately 4.5 inches so it’s not for newbies. You need to be used to wearing sky-high shoes or you’re in for a rough night with this. Giuseppe Zanotti’s crystal embellished sandals used to cost $1,195 but now, it’s only $462.97. Buy this Giuseppe Zanotti sandal here! Giuseppe Zanotti is no doubt one of our favorite brands because of the unique and classy designs they come up with. They recently came out with a new collection and this striped sling back (E20098) is one of my favorites. This is a casual pair that would look nice with skinny jeans or tights and an over-sized top or even skirts and dresses.What I find most interesting is that it doesn’t appear tacky or too loud considering the variety of materials used. As you can see, the upper is made of black and white striped fabric but look closer and you’ll see it has leather lining on the peep toe and a leopard print lining on the other side. The heel is wrapped in yellow snake skin embossed leather. As you can see, the sole provides no traction so be careful on slippery or smooth surfaces especially because this is approximately 5.75 inches high with only approximately 1.5 inch front platform. 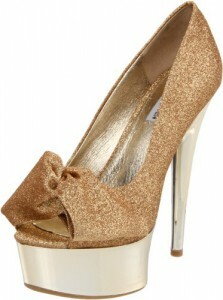 Buy this Giuseppe Zanotti shoe here! Booties again and this one is from Michael Antonio. 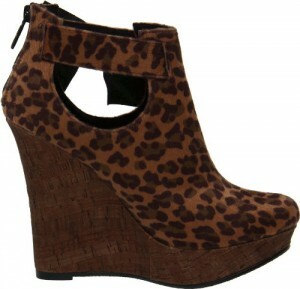 The Chaz ankle booties may look high but it’s comfy cause of the cork wedges and I LOVE wedge. The upper is made of animal print fabric and that itself is an eye catcher but the thing that I love most about this shoe (if you look closer) is the cut out detail on the ankles. The black bow kinda puts me off but hey, they’re still interesting. 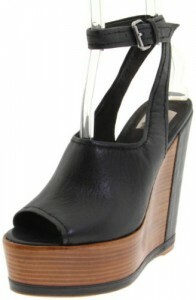 The heel of the cork wedge measures approximately 4 1/2 inches with a 1 1/4 inch front platform that balances things out. It has a slightly cushioned foot bed and a back zip closure for a snug fit. 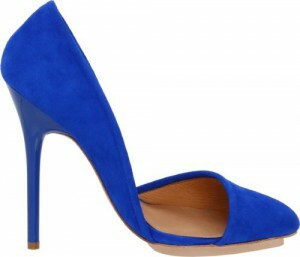 Buy this Michael Antonio shoe here! 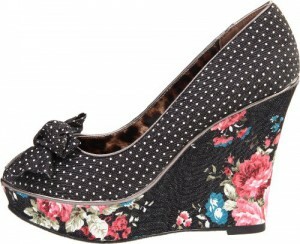 For those who want to look feminine but keep the punk chic aura, Dolce Vita comes up with the Dolce Vita Bijou Pump. This pair easily says “Don’t mess with me!” with it’s deadly pointed toe and hardware metal spikes running from the counter down to its heels that measure approximately 4 1/2 inches. 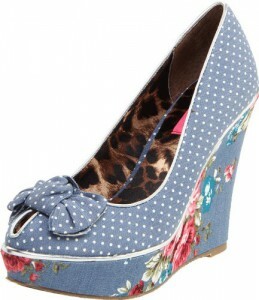 You’d probably be teetering in these since it doesn’t have platforms to balance the height out. For obvious reasons, these are best worn by women with longer feet … yes … bummer. 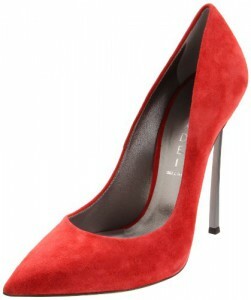 Pumps usually go along with almost anything but I could just see these with skinny jeans and a leather jacket! If the studs aren’t eye catching enough it also comes in red patent leather and that will sure turn heads from all directions. It also comes in dark silver patent and champagne patent. The upper is made of leather and aside from the the sky high heels you also should be careful about slippery surfaces since the outer sole doesn’t really have any sort of design or material to produce traction. 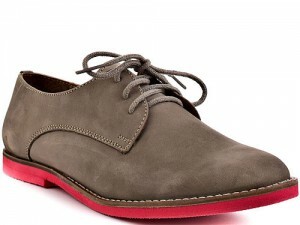 Buy this Dolve Vita shoe here!